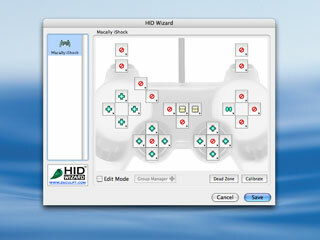 HID Wizard provides Joystick & Gamepad compatibility for OS X games. No device drivers necessary! Users can arrange button layouts for any HID compatible device. These device layouts become global to all applications. FREE for everyone! (developers AND gamers!) No licensing or royalty fees of any kind.